Every year, hordes of people flock to Times Square for New Year’s Eve. Been there, done that. This year, why not spend the holiday ringing in the New Year in fashion? While your friends and family are crammed elbow-to-elbow in Times Square, you could be rubbing elbows with royalty (maybe not really, but you can dream, right?) in London. And AESU, the most trusted name in travel, can help. We offer several affordable vacations to England, including a tour in London for New Year’s Eve. One of the best ways to experience New Year’s Eve in London is by cruising the Thames. City Cruises, Clipper cruise, and RS Hispaniola offer dinner cruises that are not only enjoyable (and delicious), but also give you a front row seat for London’s famous New Year’s Eve fireworks show. If you are a party animal, you may want to dance the night away at one of London’s famous clubs. 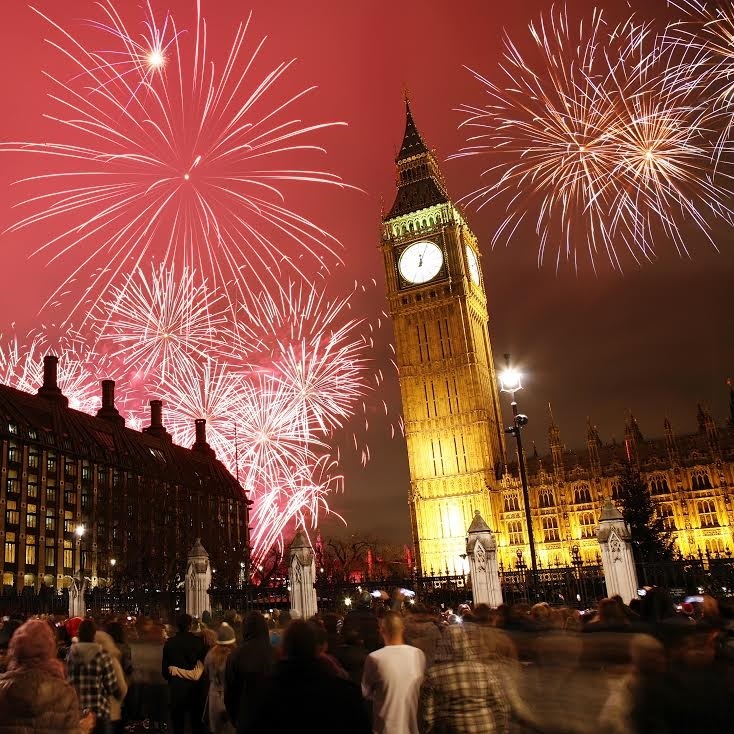 London is one of the clubbing capitals of Europe and New Year’s Eve is one of the biggest party nights of the year. London’s New Year’s Day parade is world famous, and for good reason. In 2015, the parade will feature more than 8,500 performers from 20 different countries: dancers, acrobats, cheerleaders, musicians, and more. The 2.2-mile parade is a family favorite. Just make sure you arrive early to ensure a good view, especially if you have young children who are vertically challenged. Want help booking an Affordable Vacation to London? Please contact AESU by calling 800-638-7640 or fill out the contact form found on our website. And don’t forget to check out all of our great Travel Tips, especially the Travel Tips for Europe, before you head overseas. This entry was posted on Wednesday, December 31st, 2014	at 4:42 pm	. You can follow any responses to this entry through the RSS 2.0	feed. Both comments and pings are currently closed.